MOBILedit Forensic Express 6.1.1 Released! As a response to the customer feedback we've just released hot fix to the possible crash during program update process. We've just released new Phone Copier Express 4.5. It is a pleasure for us to deliver you the latest version of our highly valued and continually evolving phone data transfer software. This version contains bugfixes and improvements. It is with great pleasure we present to you the new MOBILedit Forensic Express version 6.0. We have developed an all new PDF generator from scratch which is now much faster, requires less memory and generates the same beautiful reports. This version enhances the malware detection in Forensic Express, supports F2FS filesystem, adds more improvements and supported applications. Database of supported apps now online! Check out our huge database of almost 800 supported apps and growing. Search by platform and data type, and even make requests for support of new apps. This version contains support for iTunes from MS Store, improves WhatsApp deleted data analysis and adds a few bugfixes. The National Institute of Standards and Technology (NIST) has established a methodology for testing mobile device forensic tools in order measure the reliability of mobile device forensic tools on the market. Documents listed at the NIST website show the results from testing phone forensic tools across supported mobile devices and associated sections divided into Android, iOS and UCC/SIM. Examiners from NIST tested several product capabilities such as view, search for or retrieve data from a mobile device. This data includes different types such as call history, messages, files, calendars, notes, raw application data, social media data, GPS related data, etc. There were total of 747 fields in table matching the tested mobile device with the capability. MOBILedit has succeeded in 588 fields across the tests with a success rate of 78.7%, following with MSAB’s XRY (77.8%) and Cellebrite’s UFED Touch (75.1%). Tests have also shown that there are significant differences in results between individual data types across the competitive tools tested. Each tool was able to demonstrate certain strengths over the others, and there is no single tool that demonstrated superiority in all testing categories. Our conclusion is that there is a significant increase in the success rate when performing a cross-reference tool analysis. In the real world, when there is a case, each piece of evidence matters. With a combination of tools you can get up to 89.6% overall success rate. 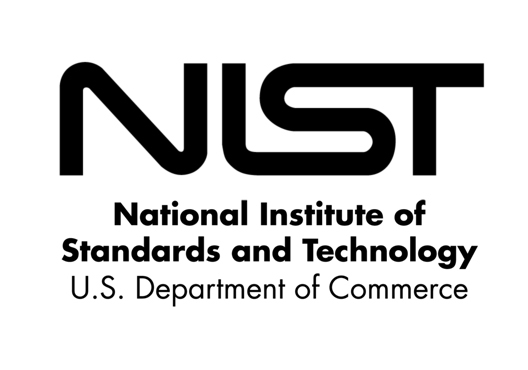 NIST (National Institute of Standards and Technology) was founded in 1901 by the U.S. Congress in 1901, heeding the call from the nation's scientists and industrialists to establish an authoritative measurement and standards laboratory. MOBILedit Forensic Express offers maximum functionality at a fraction of the price of other tools. It can be used as the only tool in a lab or as an enhancement to other tools such as UFED through its data compatibility. Cell Tower Package has been updated with current GPS locations. This version contains minor bugfixes. Our hard work continues, and we are pleased to bring you the latest version of our reliable and continually improved phone data transfer software. More hard work and dedication from our Team brings this update with a new video thumbnail feature and a few bugs squashed. Enjoy! In this new version we've added an 'Extraction Only' feature for law enforcement users - making it easier to extract data quickly in the field, and analyze it later in the lab.